Police in Gasabo and Rubavu districts yesterday arrested three drivers in connection with attempting to bribe police officers to drop traffic charges against them. 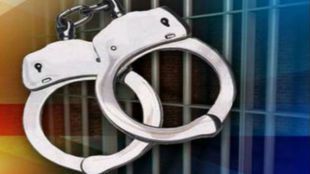 In Rubavu district, a truck driver identified as Jean Pierre Nsanzingoma was apprehended red-handed as he attempted to offer Rwf 9,000 to a police officer on duty after he was charged with two traffic offenses. He was immediately arrested by the officer and taken into custody at Gisenyi police station. Reacting to the incident, the spokesperson for the Traffic and Road Safety department, Chief Inspector of Police (CIP) Emmanuel Kabanda confirmed the arrest and noted that, Nsanzingoma had been charged with transporting goods without authorization permit an offense that only attract fines. In a related development police are also holding one Jeremie Ngiruwonsanga and another person identified as Elie Ntirenganya – both drivers – for allegedly attempting to bribe a police officer at the Vehicle Inspection Center after their vehicles failed to pass the inspection standards. The duo are currently detained at Remera police station. Vehicle inspection is a procedure mandated presidential decree No. 85/01 of September 2, 2002, in which a vehicle is inspected to ensure that it conforms to regulations governing safety, emissions, or both among others. CIP Kabanda urged members of the public and drivers in particular to desist from such malpractices which are criminal in nature. He commended the officers for denouncing bribery and for acting fast to arrest the suspects, which is a move in the right direction to weed out corruption and bribery tendencies in particular. “Respect the traffic rules and regulations, and if you are caught violating any accept the penalties because if you try bribery means, you will be arrested for that offence to face the law,” the spokesperson warned. Penalties for anyone convicted of corruption range from two to seven years in jail and a fine of up to ten times the value of illegal benefit demanded, or both charges, according to article 641 of the Rwandan Penal Code.